It is with great sadness we announce the passing of the late Donna Elaine Anchikoski. Donna was born in Dawson Creek on October 11, 1948. She was very proud to have received her High School Grade 12 equivalent diploma from the Dawson Creek Vocational School in 1973. Donna married Peter Alan Anchikoski in Fort St. John on February 24, 1990. Together they had four children; Jacqueline (Barry) Cornet, John (Candice) Dore, Dwayne (Teri-Lea) Burkholder, and Kent (Tammy) Burkholder. Donna had 9 Grandchildren and 8 Great-Grandchildren. 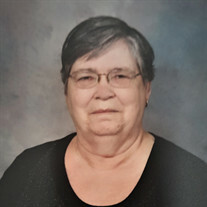 There will be a funeral for the late Donna Elaine Anchikoski, Friday, January 26, 2018 at 11:00 AM at the Catholic Church of the Resurrection. In lieu of flowers, donations can be made in memory of Donna to the BC Schizophrenia Society.